As a long-term crutch user, you may want to find something durable, lightweight and comfortable. Buying a good crutch for long-term use is not hard. But you have to know what to look for in the first place. Then you are no doubt aware of just how many options out there for you to choose from. Sifting your way through all of the available options can be a challenge. And you don’t want to spend too much time on that. Making your process simpler, I will show you my personal list of the best crutches for long-term use. Read the reviews below, and you will see. 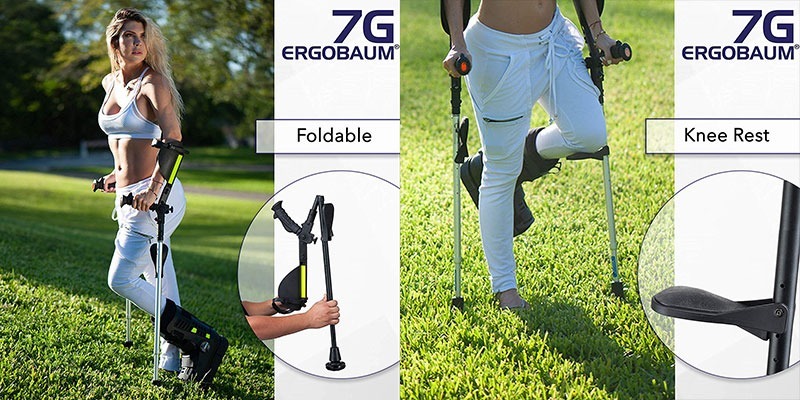 This crutch is the new generation from Ergobaum which also features ergocap tip which offers good slip resistance and lots of flexibility for various gaits. It also has the reflective tape on tap and reflector on the handle are very bright and will provide for high visibility with night use. This crutch features adjustable height to fit almost adults from 5′ to 6’6″ in height and up to 350lbs in weight. And with the soft hand grips, you can adjust easily by your hand. The crutch itself also absorbs pressure, minimizing pressure-transfer to the rest of your body. Whether you have knee surgery, foot surgery or any issues with mobility for a long time, then crutch is a must have. And this one can do the best for you. They are well made, adjustable and durable. 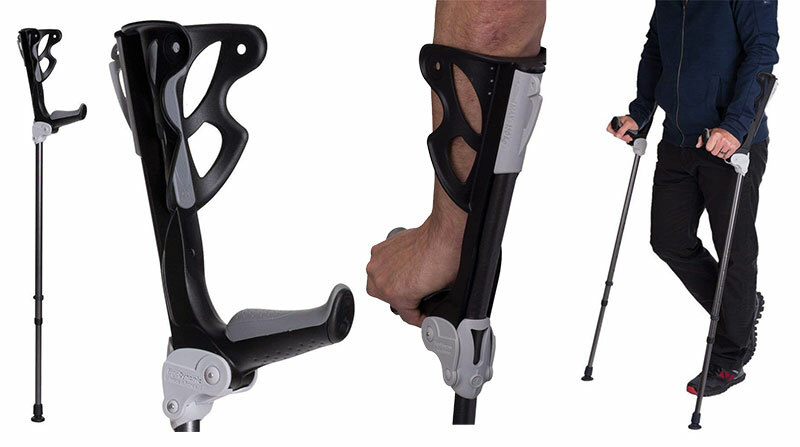 If you are long-term crutch user, this will make you more mobile and comfortable. There is one more thing that I’m sure you can realize immediately that they provide the best balance for you and the hand grip to help you stand upright is a great relief. However, there are the negative reports that when the shock absorbers work, they tend to be noisy. And the LED lights simply do not put off enough light for the user. But after all, they are the overwhelming majority of “durable crutches” on the market today offer a shock absorption that reduces impact, so that reduce the pain associated with walking on crutches. One of my favorites. And a best-seller among these best crutches for long-term use also! It comes with 2 pairs of the crutch and features fully adjustable height for the almost user. The Millennial Crutches are heavier and extend to support someone more large and tall. The spring-loaded tip helps reduce the impact on wrist, hand, shoulder, and elbow joints and conserve energy in momentum, so you can go further and move faster. The Millennial Crutches come in three different colors, so you easily choose from, but you should consider the dirt when choosing your crutch’s colors. With this crutch – open on one side, you can avoid the handles firmly attached to the crutches, that sometimes is a problem with standard crutches. It’s not only comfortable but also safe, that’s what you need for long-term use. This medical device is also very lightweight and very compact as they easily come apart into two or three sections so that you can fold and store easily. Millennial Medical In-Motion Pro also comes with one year warranty. 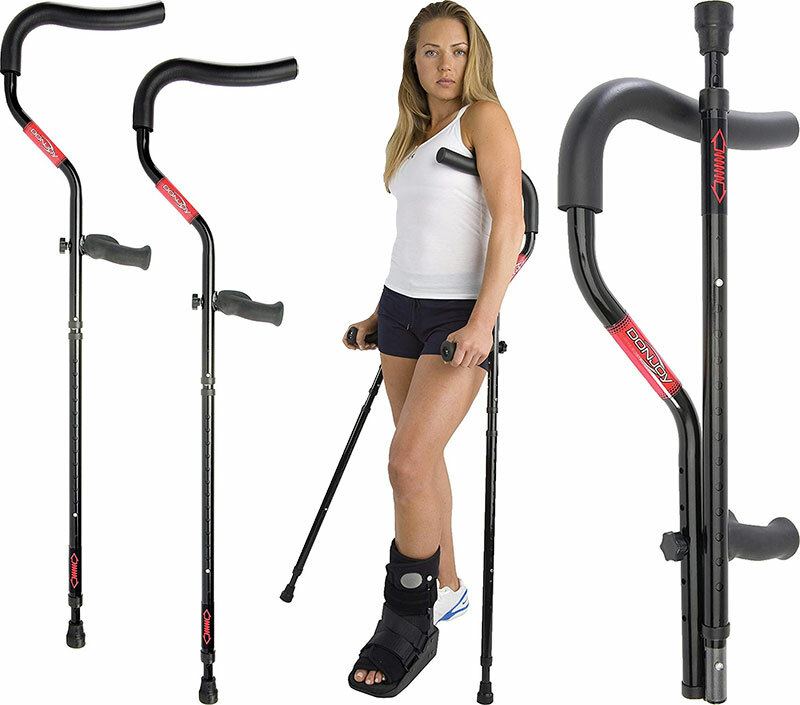 Must say, well worth the money, this product is an excellent choice for long-term crutch users. It’s easy to see why so many people consider this to be one of the best crutches for long-term use out there. This product is one of the high-quality crutches for long-term use I have for you here. It is designed specifically to do one thing and one thing only. It’s to rejuvenate your entire walk experience. The aerodynamic Forearm Crutches is felt much more stable than many products on the market. It is very silent and very lightweight with an integrated shock absorber only 1.32 lbs per crutch. And it comes with shock absorber weight range options. It has the spring under the handles to absorb impact so that less pain in your injured leg. This product offers a variety of adjusted setting, so make sure it’s fitted before using. With the soft replaceable forearm pad and ultra-soft replaceable grips, you can be sure to have a comfortable walking. Have you had been searching high and low for the best crutches with a unique folding design? You’re looking at it! One of the most durable crutches you’re going to come across today. The DonJoy Rebound Ergonomic Crutch has everything you could ever want for a long time – and then some! This product comes in sizes from 4′ 7″ to 6′ 10″ in height. 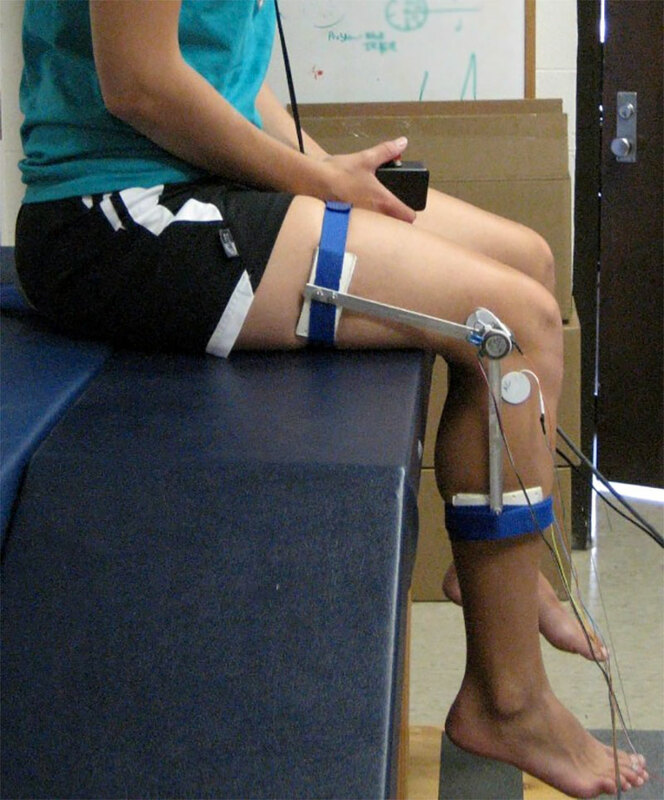 It’s the best choice for the athletes who often have a knee surgery or foot surgery and want to move comfortably. And with a unique folding design, it’s easy to assemble so you can use it for transport easily. Not only does this crutch features solution a revolutionary spring action which propels forward and absorbs impact, reducing the amount of energy required. But it also offers Ergonomic grip keeps your hand in a neutral position, allowing for nerve conduction with proper blood flow. Padded underarm cradle helps reduce soreness so you can be comfortable even during extended periods. And a limited lifetime warranty that you’ll be able to rely on for years and years to come. So let’s see what people said about it here. This particular lightweight crutch is one of the more cheap options you are likely to get. If you want a good crutch for long-term use but with the cheap price, then this is exactly the kind of crutches you’ve been searching for. The DMI Lightweight Aluminum Crutches comes with comfortable crutch pads, handgrips as well as durable tips that you need to get you moving more smoothly. It has an adjustable height from 5’10” to 6’6” and push-button crutches to ensure you will have a nice custom fit. There is one thing I don’t like that the crutch is lack of crutch cushions on the skimpy side that might make you a bit hurt but you can address that easily by putting a towel underneath. With the price range, it’s hard to find a solid and sturdy crutch like this one. You also want to know what the user said about it here.